The Sony Ericsson XPERIA Play will be launching officially on 1 April. And according to CNET Asia there will be a massive number of optimized games for it, available at the very beginning. We've prepared the list, which CNET Asia compiled, to show you which games will be served to new owners in the Playstation Pocket store. CNET Asias say that there will be about 71 titles XPERIA Play-ready in the coming months, while Sony Ericsson has said that upon the official launch there will be about 50. 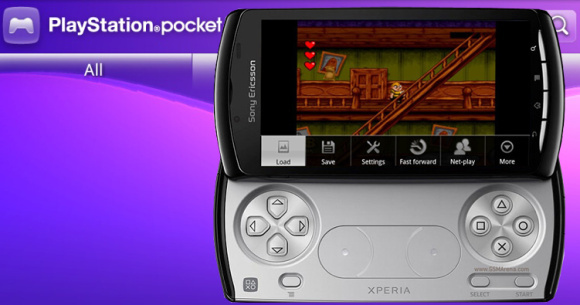 Now, optimized for the XPERIA Play doesn't mean Playstation-ported games. It means that these will be games for Android, optimized to use the hardware gaming controls that the Play has. In related news, ZodTTD - a popular game ports developer, posted on Twitter that his PSX4Droid emulator has been pulled from the Android Market. It is an emulator, which allows users to play Playstation 1 games on their Android smartphones. The reason given is "Content Policy Violation". It makes sense when you think about it. The XPERIA Play will lose most its charisma when every droid out there can run the same games. The good news is that the other emulators remain untouched so far. We've personally tested the Super Nintendo (SNES) one on the Play and it works like a charm with the hardware controls. Anyway, here's the full games list of the upcoming XPERIA Play-optimized games. Also Gameloft will be releasing the BackStab game title exclusively for the XPERIA Play. It will be available only to XPERIA Play owners for a month or two, after which it will be released for the rest of the droids. The story's based in the 18th century on the Caribbean. Here are some screenshots of the game for you guys to enjoy. And if those aren't enough for you, here's an official video promo of the BackStab game.